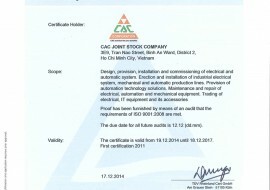 Fuji CAC is known as the leading Industrial Solution Provider in Electrical, Automation & Control market, and now acting as Main MEP Contractor (complete scope of Electrical, Control, HVAC, and Piping & Firefighting) in Vietnam and Asean Countries. 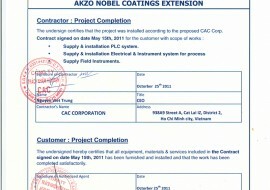 Fuji CAC also has experiences in implementing projects & services oversea in Africa and Asean countries..
On December 10 of 2015, Fuji Electric Co., Ltd (FE) - with Revenue of ¥813.6 billion (equivalent US$8 billion) and 26,508 employees - concluded a contract to acquire a 65% stake in CAC Joint Stock Company (CAC). 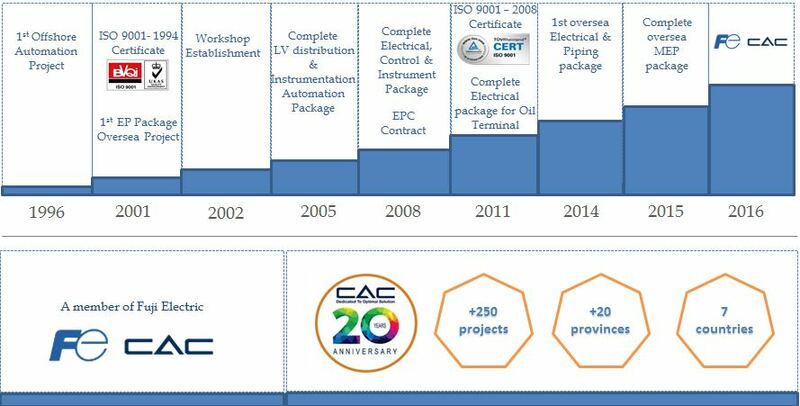 FE will maximize the use of CAC’s engineering functions to jointly expand business operations in Asia through its five business segments: Power and Social Infrastructure, Industrial Infrastructure, Power Electronics, Electronic Devices, and Food and Beverage Distribution. 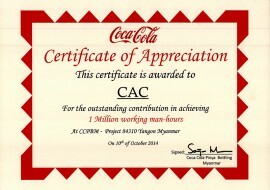 Since the establishment in 1995, Fuji CAC has been writing our story of success. 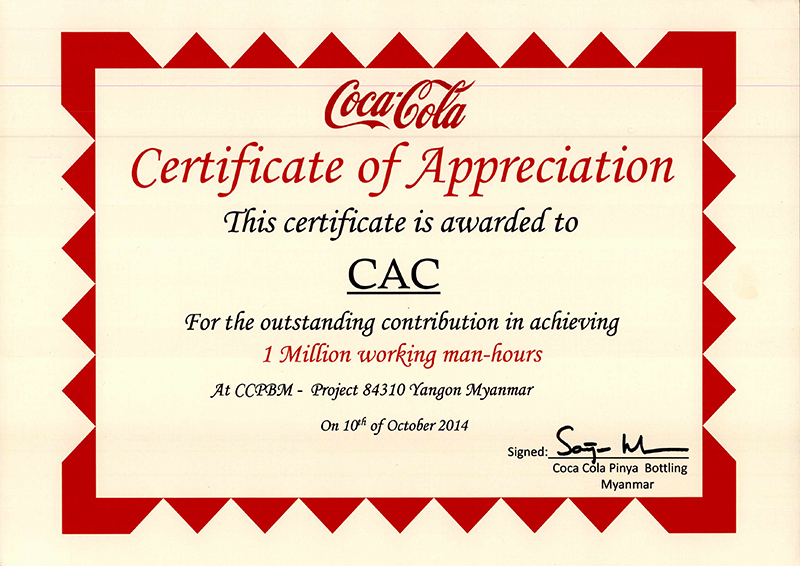 Starting as an electrical, automation and instrumentation service provider, Fuji CAC has grown to become one of the most reliable and respected engineering, procurement, construction and maintenance contractor for multiple business sectors in Vietnam and South East Asia countries. - The first Vietnamese company supplied and engineered automation system for offshore oil-rig (VietsovPetro, 1995). 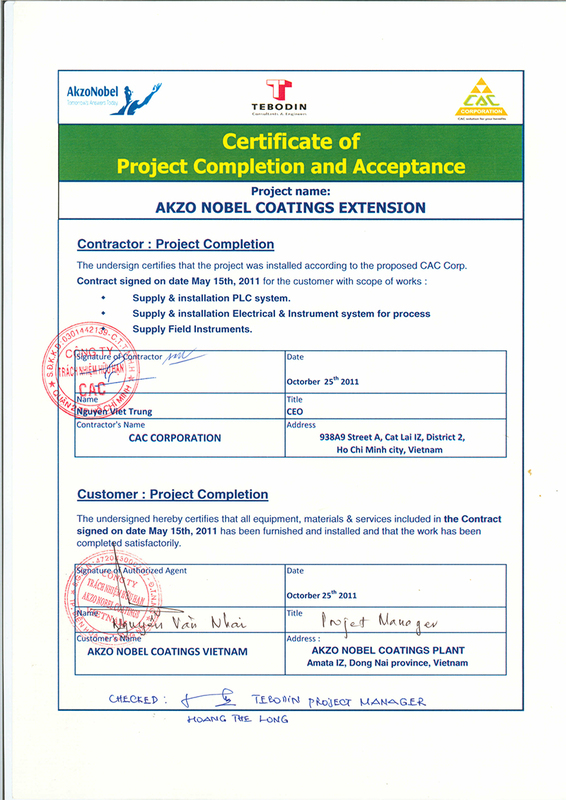 - The first Vietnamese company successfully researched, designed and built NPK fertilizer production line and exported to African market (Ivory Coast, 2000). 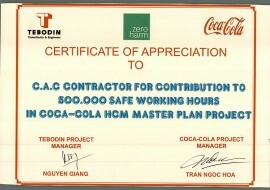 - The first Vietnamese company successfully acted as EPC Contractor to build a complete Cement plant (NamSon, 2008). 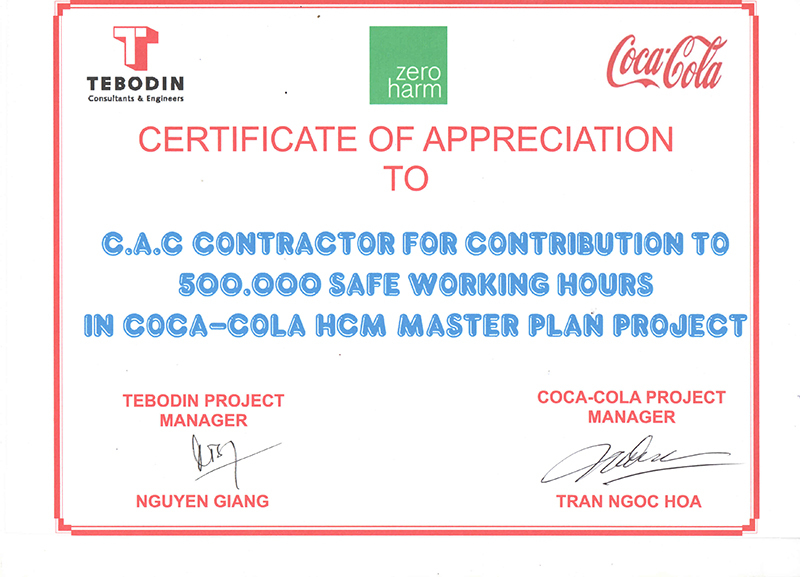 - The first Vietnamese company was awarded MEP package as main contractor to build new plants of CocaCola in Vietnam, Myanmar and Cambodia (2013, 2014 & 2015). 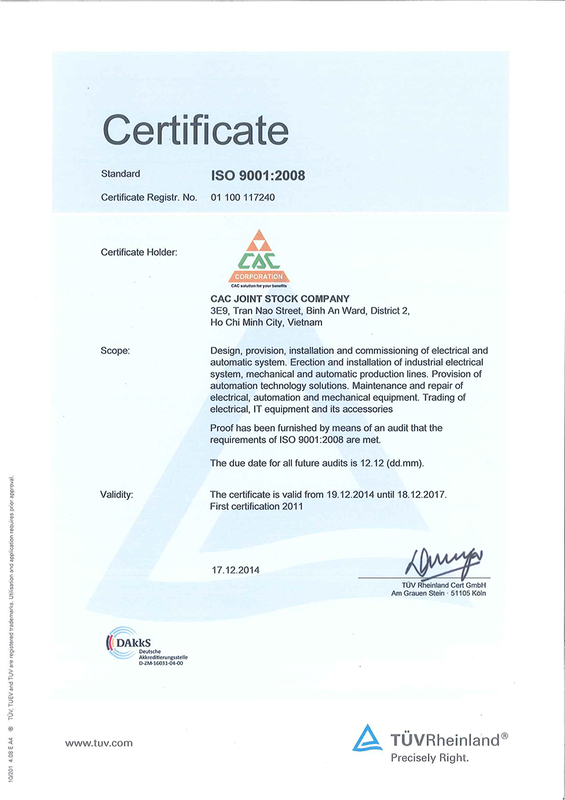 Achieve the goal of being the leading solution company in industrial electrical market of South East Asia and acting as South East Asia Engineering Center of Fuji Electric. Develop innovative solution to build a green industrial world. Provide customer professional solutions, products and services with stable quality as customer's demand. 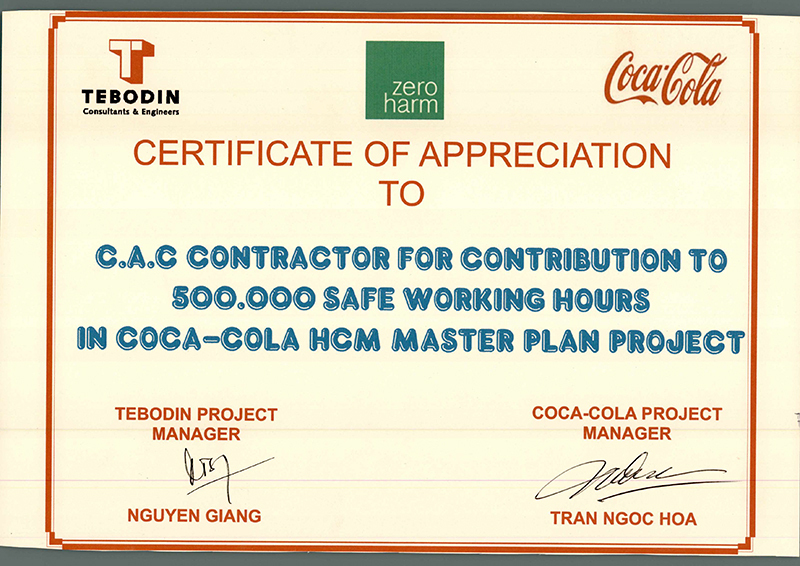 Provide customer highest additional values and distribute our value to develop Vietnam and Asia industry. Build investment value for customers, partners and owners based on professionalism, integrity, and equality. 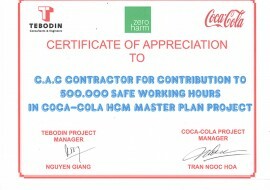 Become one of the leading companies of total industrial solution providing in Vietnam and South East Asia with high techniques, advanced technologies and professional after-sales services. Provide services along with the entire life-cycle of our customer investment.